Oscar de la Renta flower eyelet caftan. 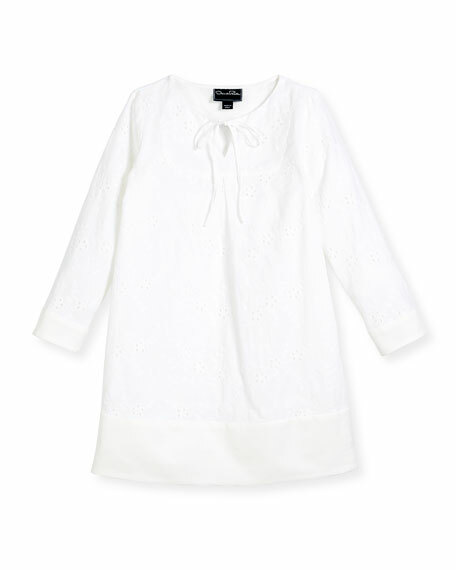 Crew neckline; self-tie keyhole front. Solid, wide hem and cuffs. For in-store inquiries, use sku #2423693. Oscar de la Renta gown in embellished cady. Crew neckline. Caped back. 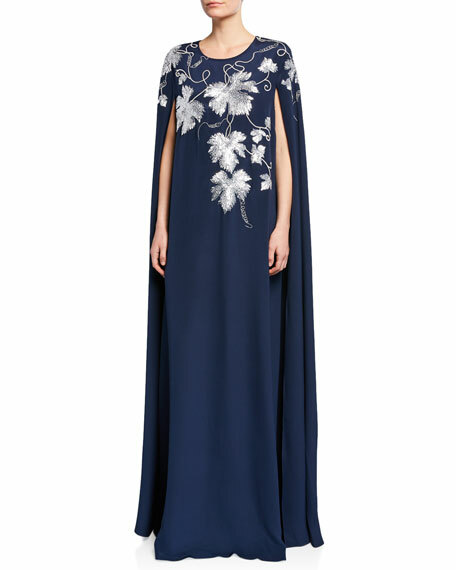 Caftan silhouette. Floor length. Back zip. Silk. Made in USA of imported material. 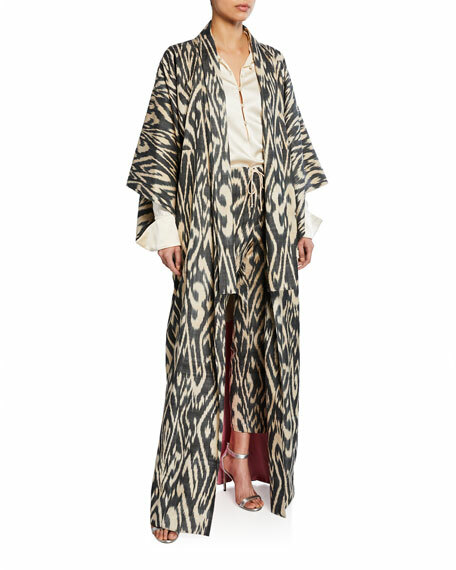 Oscar de la Renta caftan in ikat print twill. Open front. Long kimono sleeves. Column silhouette. Floor length. Silk/cotton. Silk lining. Made in Italy.